American Eagle Outfitters fragrance and perfume list. 2013 - 1977 | Real Blaze | Vintage | Aerie Hidden Love | Aerie WHOA! 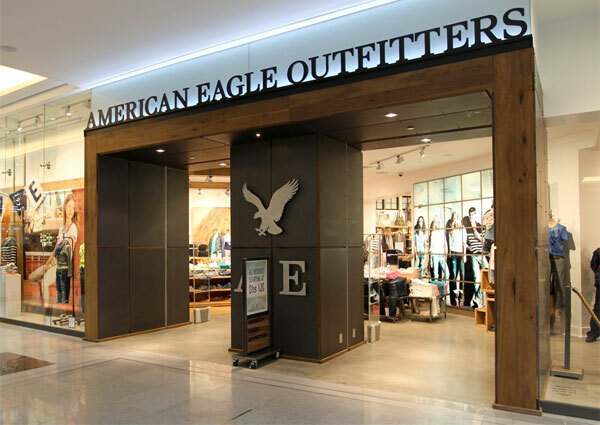 American Eagle Outfitters is an American clothing and accessories retailer, headquartered in Pittsburgh, Pennsylvania. It was founded in 1977 by brothers Jerry and Mark Silverman, third generation Silvermans who had owned and operated Silverman's Menswear. The Silverman brothers were convinced they needed to diversify their product offerings in order to continue growing their company. The Silvermans sold their ownership interests in 1991 to Jacob Price of Knoxville, TN. American Eagle Outfitters is the parent company of Aerie. The brand targets 15- to 25-year-old males and females. Some of the brand's more popular products are low-rise jeans, polo shirts, graphic T-shirts, henley shirts, boxers and briefs, outerwear, and swimwear. In February 2006, American Eagle launched the aerie lingerie sub-brand. In addition to lingerie such as a wide variety of bras and other undergarments, the aerie line also sells active apparel, loungewear, accessories and sleepwear. What started as a sub-brand quickly became a standalone concept in its own right, featuring a complete fitness line, called aerie f.i.t. The aerie brand is sold in American Eagle Outfitters stores, on-line through the AEO Web site, and in stand-alone aerie retail stores.